Since the idea was introduced to fans, the idea of a Walgreens-exclusive Boba Fett Concept Armor brought about much anxiety to fans. Would he be made in big enough numbers to cover all 5,000 locations? Would the pre-sale online cover people? Would you have to drive around with a bunch of sick people sneezing on you while you hunt toys because of your crippling toy addiction? Let's just look at the figure - he's pretty good. Read on! The Walgreens Boba Fett (Prototype Armor) 6-inch action figure is out now - most stores are getting partial cases and you won't see a variety at all locations. In the past 72 hours I hit up about 16 locations and generally saw no more than 1-3 Star Wars figures of any kind at each location - for example, one store had 3 Boba Fetts in Glendale, AZ and nothing else. Another had 2 Darth Vaders and nothing else. And another had a single Sandtrooper, and that was it. 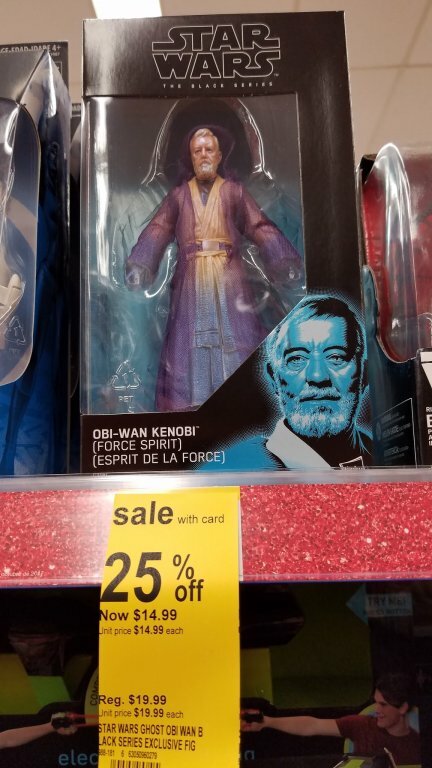 Only 3 of the stores had any 6-inch Star Wars figures yet, but this is a new-to-them line. The article: Prototype Boba Fett Black Series Figure – Exclusive Reveal! Supposedly (depending on the reports) between August and some time this fall, we're going to have access to a $19.99 white "prototype" 6-inch Boba Fett. A mail-in version of this costume was made for the 3 3/4-inch scale a couple of years ago, so now we'll have access to a bigger version of this character. Somehow, pre-orders will start at Comic-Con in a few weeks.